Exams are over and most students have left campus, but the term is not quite over! 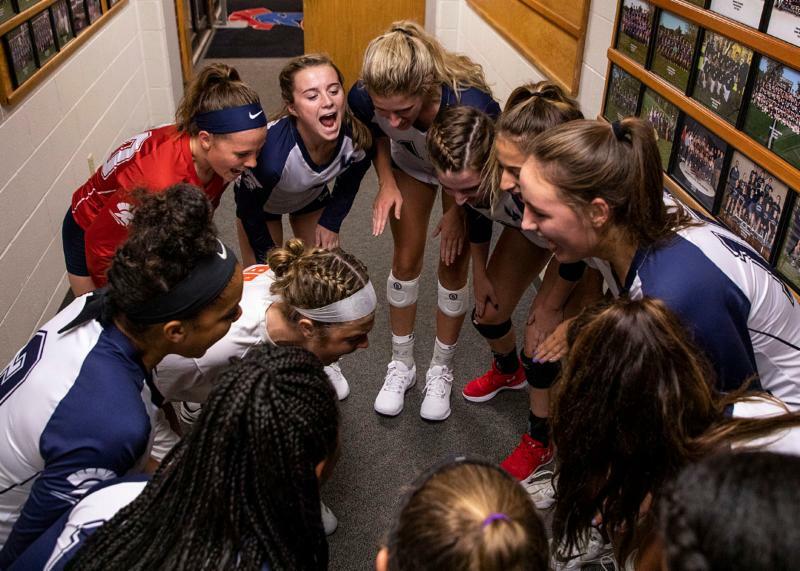 The Lawrence Academy Spartans are in the midst of a NEPSAC playoff run and at 1:00 PM, tomorrow — Saturday, Nov. 17 — varsity volleyball will face Dana Hall at home on the new and improved Stone Courts. A boisterous home crowd is so important and last Wednesday's cheering section certainly helped propel our amazing team to a quarterfinal victory over Suffield Academy. We urge everyone, even if you have never seen a volleyball game, to come back to campus (if you’re able) and see this amazing group represent our community. LA also hosts the NEPSAC championship on Sunday at noon. Please mark your calendars for the Parents' Association Holiday Party, Thursday, Dec. 6, 6:30 PM in MacNeil Lounge. Invitations arriving in the mail, soon, but you may RSVP now to RachKelley@comcast.net. Please review the 2019 Winterim catalog with your student. Course signups will occur right after the students return from Thanksgiving break. The Lawrence Academy All-School-Photo and Class of 2019 Photo are now available for ordering via Panfoto. Order yours now as discounted prices will apply through November 25. 2019 Yearbook: Seniors need to create their half page collage using postermywall.com. Due after Thanksgiving break! Community Service Hours: Speaking of breaks, the Thanksgiving and Holiday vacations are good times to complete the SIX HOURS REQUIRED for this school year and any hours owed from previous years. Student community service hours must be verified by February 22. Finally, check out the Summer Opportunity in Italy on The Page.